And misogynist older male scientists are putting women off working in the industry, believing their brilliance is “a threat to the status quo”, according to Renee Watson. 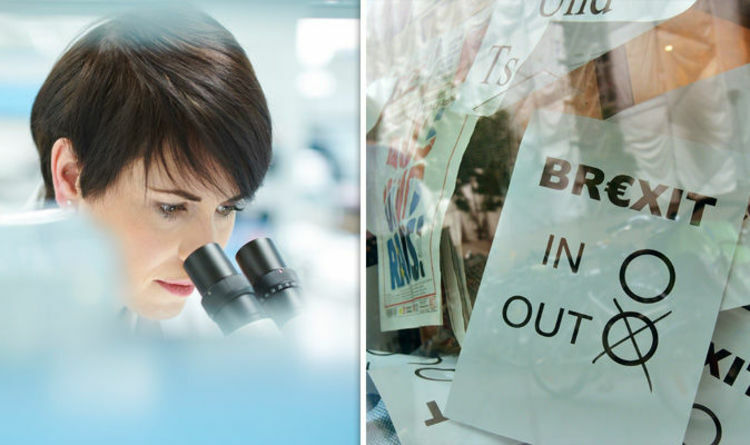 Just days after Prime Minister Theresa May announced she had reached a landmark deal in Brexit negotiations, scientists have voiced their concerns the industry will suffer after the UK leaves the European Union. One of the main reasons for this is that as part of the negotiations, free movement around Europe for Britons and for EU members coming to the UK will be abolished, which will mean Britain will fail to land industry leaders from around the globe. Ms Watson, of the Curiosity Box – an initiative which attempts to get more young people to explore their interest in science - believes Britain will suffer as a result of Brexit. She told Express.co.uk: “The beauty of science is that it is a truly international discipline with movement of the brightest young minds enabling the advances that we see in everything from space research to medicine. Another problem for the science industry, explains Ms Watson who is a biochemist and a former University of Oxford employee, is that women are not taken seriously enough in science, and face a challenge in toppling the misogynists. She said: “I've seen men who not only don't take women seriously but who believe a woman's success is a threat to the status quo. I've only ever experienced this kind of underestimation by older men, never by men my own age or younger. Ms Watson is playing a key role in ensuring the future of Britain’s science industry remains strong in the future, and to achieve this she created the Curiosity Box – a hands-on box which includes a plethora of gifts and gadgets to pique children’s interest in science. Ms Watson said she has two ways to get more children into science. She said: “Showing kids what a career in science can actually mean (it isn't all lab coats and test tubes) by giving them inspiring role models. People like Merrett Moore, Becky Smethurst and Ruth Amos show that a science career can be creative, adventurous, have huge social impact and most definitely not always be in a lab! “And making science education more fun, exploratory and curiosity led.